Rhodiola rosea commonly known as Rhodiola, golden root, rose root, roseroot, western roseroot, Aaron’s rod, arctic root, king’s crown, lignum rhodium, orpin rose, Sedum Species, Golden Root, Roseroot Stonecrop, Rosewort, Hong Jing Tian and Rosenroot is a perennial flowering plant in the family Crassulaceae. It grows naturally in the mountainous regions of the southwestern parts of China and the Himalayas, but now it is commonly found in Scandinavia, Iceland, Greenland, United Kingdom, Ireland and North America, and can be propagated as a groundcover. The common name rose root refers to the roots having the scent of rose petals, and the term golden root suggests the plant’s superficial value. Although it has long been used in traditional medicine for several disorders, especially including treatment of anxiety and depression, there is little scientific evidence to verify any benefit. Traditional folk medicine used R. rosea to increase physical endurance, work productivity, longevity, and resistance to altitude sickness and to treat fatigue, depression, anaemia, impotence, gastro-intestinal ailments, infections and disorders of the nervous system. In some mountain villages in Siberia, a bouquet of the roots is still given to couples prior to marriage to enhance fertility and assure the birth of healthy children. 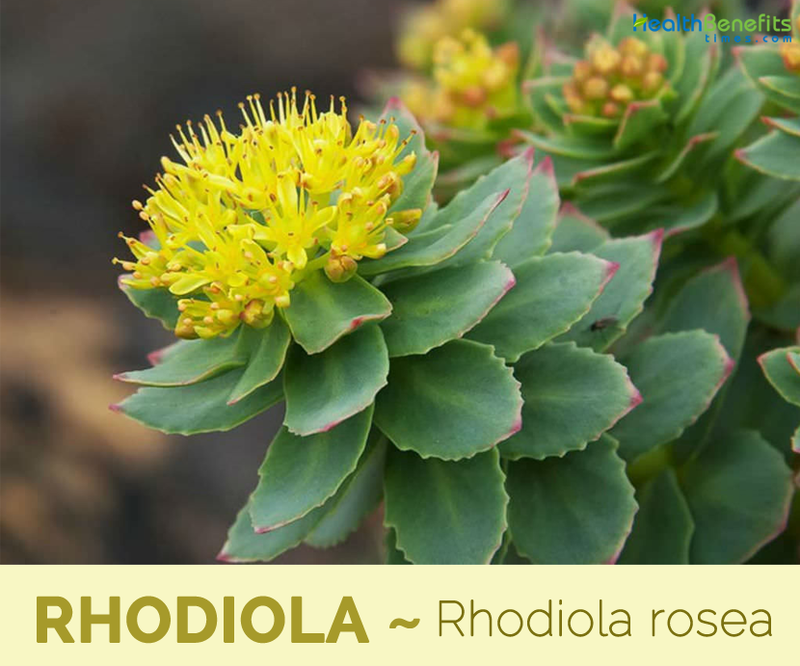 Rhodiola is a perennial flowering plant that grows about 5 to 40 centimeters (2.0 to 15.7 in) tall. The plant is found growing in harsh, dry, barren, rocky conditions, mostly in high-altitude alpine environments, such as the Himalayas .The plant prefers deep soils. Loam or sandy loam soils are suitable. It does well under moderately rich and well drained soils, which are neutral to slightly acidic in nature. The plant has several stems growing from a short, scaly rootstock. The stems grow from thick rhizomes that smell like roses when sliced and are white, pink or pale yellow on the inside. Leaves are blue-green, fleshy and are arranged alternately along the stem. 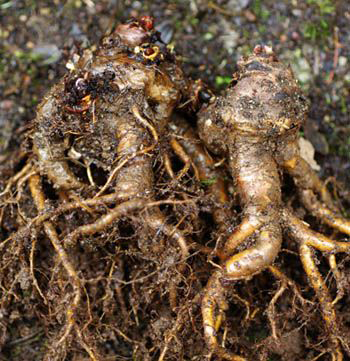 Its underground parts (rhizomes with roots) are used as medicinal raw material. Due to its slow growing pattern it can take up to a decade before the raw roots are suitable for medicinal use. Flowers have 4 sepals and 4 petals, yellow to greenish yellow in color sometimes tipped with red, about 1 to 3.5 millimeters (0.039 to 0.138 in) long and blooming in summer. It normally blooms from May to August. The plant is dioecious, meaning it has separate female and male plants. After flowering, the male flowers wither, while the female flowers develop orange or red seed capsules. In Central Asia, R. rosea tea was the most effective treatment for colds and flu during severe winters. Mongolian doctors prescribed it for tuberculosis and cancer. For centuries only family members knew where to gather the wild ‘golden roots’ and the methods of extraction. Siberians secretly transported the herb down ancient trails to the Caucasian mountains where it was traded for Georgian wines, fruits, garlic and honey. Chinese emperors sent expeditions to Siberia to bring back the ‘Golden root’ for medicinal preparations. 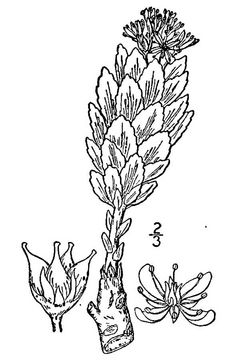 Greek physician Dioscorides (AD 40-90) first recorded this plant in De Materia Medica , renaming it from Rodia riza to Rhodiola rosea , which refers to the rose-like aroma of the freshly cut root. The Swedish naturalist Carl Linnaeus (1707-1778) documented use of R. rosea as an astringent to treat hernia, leucorrhea, hysteria, and headache. For centuries, the plant has been used in Russia and Scandinavia, where the majority of the research has been published. The plant has also been used as a hemostatic in Tibetan folk medicine. Extract of R. rosea is listed in Russia as a medicinal product for human use. 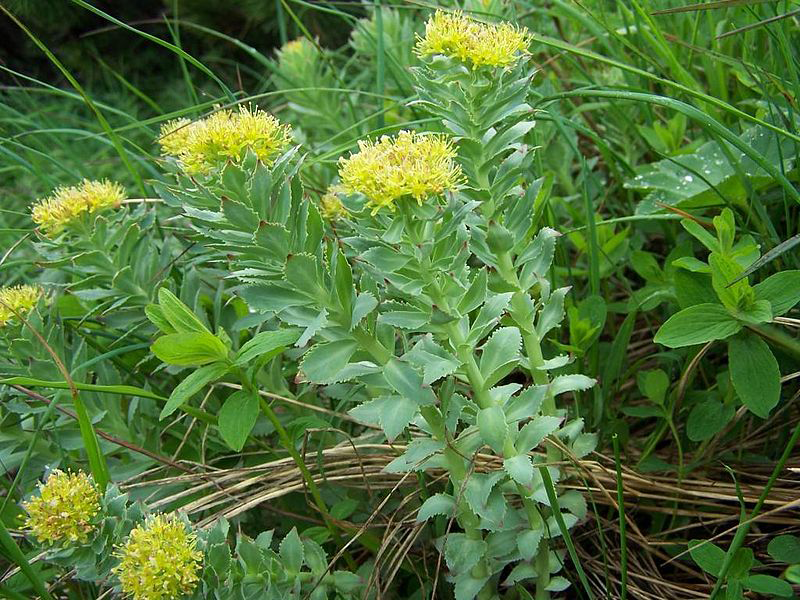 Rhodiola rosea is one of the best natural treatments for impotence, decreasing libido and infertility and its traditional uses seem to support this. People living in the Caucasus and Altai Mountains trusted on the herb for centuries as a remedy for increase sexual performance and health. Also since impotence and lack of libido are often related with depression and chronic stress, it is not surprising that supplementation of rhodiola might improve sexual function. 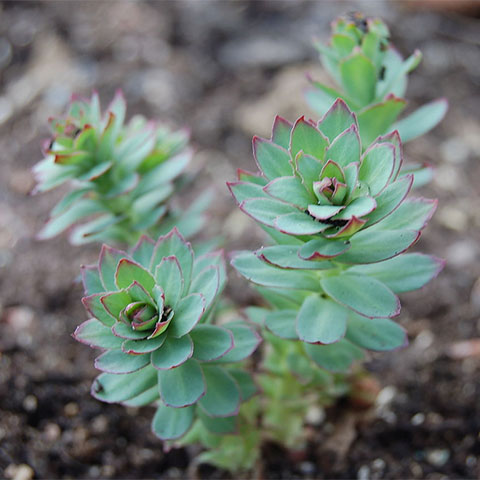 Rhodiola rosea is quite beneficial to shorten recovery time after prolonged workouts, to increase attention span, memory, strength, and anti-toxic action. Its extract helps to increases the level of enzymes, RNA, and proteins important to muscle recovery after exhaustive exercise. It helps to stimulates muscle energy status; glycogen synthesis in muscles and liver; muscle protein synthesis and anabolic activity. 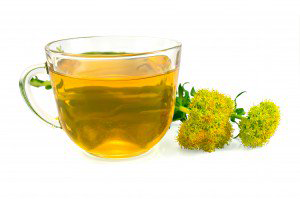 Recent research has proven that using Rhodiola rosea extracts and teas is quite effective for weight loss efforts. Release of adipose tissue is one of the keys to losing weight, and golden root is a natural product containing the essential enzymes to do that. Rhodiola rosea speeds up the fat-burning cells in your body, and when combined with exercise, this can truly speed up your slimming results. The calming effects of Rhodiola rosea tea have been known for thousands of years, and from the stress of life in rural China to the depression-inducing weather of Siberia, this particular herbal tea has been soothing and calming people for generations. Chemical constituents found in Rhodiola rosea can affect the hormonal levels of the body and induce relaxation. It treats cancer, anxiety, influenza, the common cold, bacterial infections, and migraines. rosea may be effective for improving mood and alleviating depression. It improves physical and mental performance, and may reduce fatigue. rosea has been used for centuries to cope with the cold Siberian climate and stressful life in Russia and Scandinavia. The medicine can be used to prevent altitude sickness. Its use has been shown to have a protective effect upon the neurotransmitters such as serotonin and dopamine in the brain. It improves neurotransmitter activity by inhibiting their enzymatic destruction and preventing their decline caused by excessive stress hormone release. 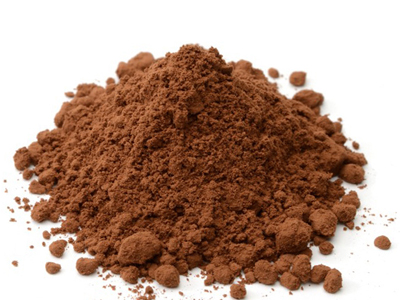 Root has an enhancing effect upon physical endurance and sexual potency. Decoction of the flowers has been used to treat stomach aches and intestinal discomfort. Raw flowers have been eaten in the treatment of tuberculosis. Human studies showed that rhodiola may improve anxiety or mild to moderate depression. It helps the body to fight against stress. It is effective in the treatment of cold and Flu and is also known to reduce inflammations. It is a good herbal remedy for heart disorders and helps to normalizes BP, Blood sugar and Potassium. It helps to cure primary and secondary Amenorrhea. It is beneficial for women suffering from menopause. It helps to improve the ability of hearing and prevents deafness. Fresh, sliced roots were mixed with butter and used for wound healing in Iceland, Greenland and the Faeroe Islands. Leaves were used as poultice and applied on injuries and burns. Decoction made from the flowers was used to treat indigestion. It is traditionally used to alleviate lung problems, such as cough, asthma and other respiratory infections in Tibet and Mongolia. Multiple Sclerosis: Consume a half tsp of Rhodiola extract powder with water. Have it once a day in the morning but 30 minutes before the breakfast. Hyperprolactinemia: Have Rhodiola extract 250 mg once a day. Post-Traumatic stress Disorder: Consume 40 mg of Rhodiola extract 2 times a day. Aerial portion is consumed as food in some parts of the world, sometimes added to salads. Young succulent leaves and shoots are eaten raw or cooked like spinach. Slightly bitter taste, we find them unpleasant on their own though they can be used as a small part of a mixed salad. They can be made into sauerkraut. Stems are cooked and eaten like asparagus. Root can be consumed raw or cooked. It was fermented before being eaten by the N. American Indians. It is often recommended to start with a daily dose of 100 mg of rhodiola and increase the dosage gradually if no side effects are experienced. (Can be extended up to 600 mg per day). Researches have shown that most people feel the effect not later than 30-40 days. If the desired effect is not noted after 40 days, it is unlikely that the herb is of any use. Plants can be grown as a ground cover when planted about 30cm apart each way. The dried root smells strongly of roses. They may be used to distil rose-water. 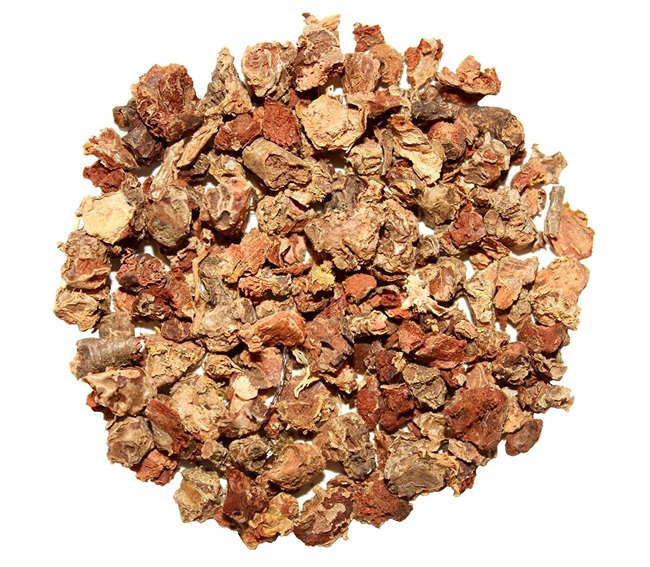 Rhodiola root has a scent similar to roses – giving it the Latin name Rhodiola Rosea. There is not enough research to prove that rhodiola is safe for pregnant women or women who are breastfeeding. So it is better not to be consumed. Rhodiola may lower blood sugar levels. If patients are taking a medication to lower blood glucose it could make their levels go hazardously low. And if their levels go too low and blood sugars bottom out, they can pass out. The consequences of low blood glucose can be just as dangerous as high blood sugar. Rhodiola may alter blood pressure and is not suggested for patients taking ACE inhibitors. Rhodiola can also increase the risk of bleeding when it’s taken with aspirin or prescription anticoagulants such as warfarin or heparin. It is not proven safe with anti-platelet drugs such as clopidogrel. Rhodiola should not be taken with non-steroidal anti-inflammatory drugs like ibuprofen or naproxen. Rhodiola can increase the symptoms of autoimmune disorders because it stimulates the immune system. Conditions such as rheumatoid arthritis, inflammatory bowel disorders, neurological disorders such as multiple sclerosis, lupus, as well as autoimmune thyroid disorders such as Hashimoto’s and thyroiditis can all be worsened by the use of rhodiola. Rhodiola is not confirmed safe for folks on thyroid medicine. It may change (lower?) thyroid levels. If you take thyroid medicine you should not take rhodiola. If your thyroid testing is irregular, please consult your physician. Rhodiola, however, may have stimulant-like effects and without knowing a patient’s biochemical status, rhodiola can worsen their symptoms of anxiety. Patients suffering from anxiety who also exhibit the ‘shakes’ from caffeine and ephedrine should not take rhodiola. Rhodiola rosea should not be recommended to patients with manic behavior disorders. If you have bipolar disorder, for example, rhodiola can be dangerous because it can cause mania. Rhodiola should not be recommended to patients with antidepressant sensitivity, either. 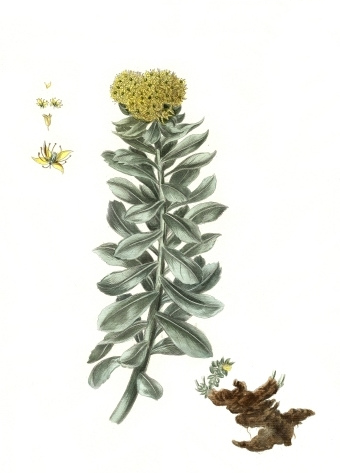 Rhodiola rosea can cause drowsiness for patients on benzodiazepines, SSRI and SNRI antidepressants. It is not recommended for patients on SSRI medications or MAOI medication because it can cause serotonin syndrome. Growing Climate Harsh, dry, barren, rocky conditions, mostly in high-altitude alpine environments, such as the Himalayas. Leaf Blue-green, fleshy and are arranged alternately along the stem. 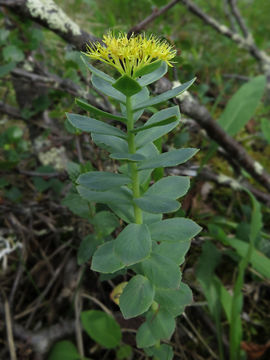 Case of fast and irregular heart beat has been reported with simultaneous use of rhodiola and an antidepressant. Excessive use may cause irritability, restlessness, insomnia and confusion. 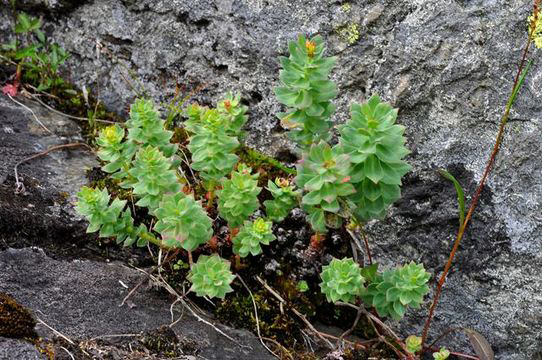 Rhodiola rosea can cause allergic reactions, but it rarely occurs. Children under 2 years should not use the herb. Those who are older than 65 years should start with a low dose and only increase it if the need arises. 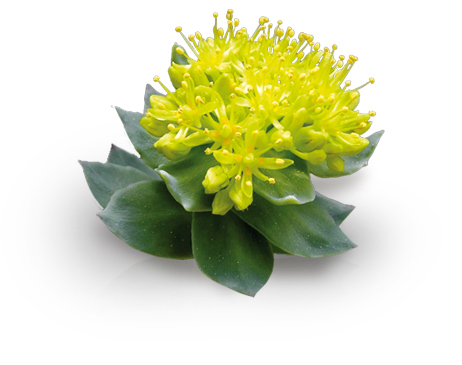 Rhodiola has a stimulating effect, it is best to avoid taking it in the evenings. It is not recommended to use the herb continuously over a long period of time. 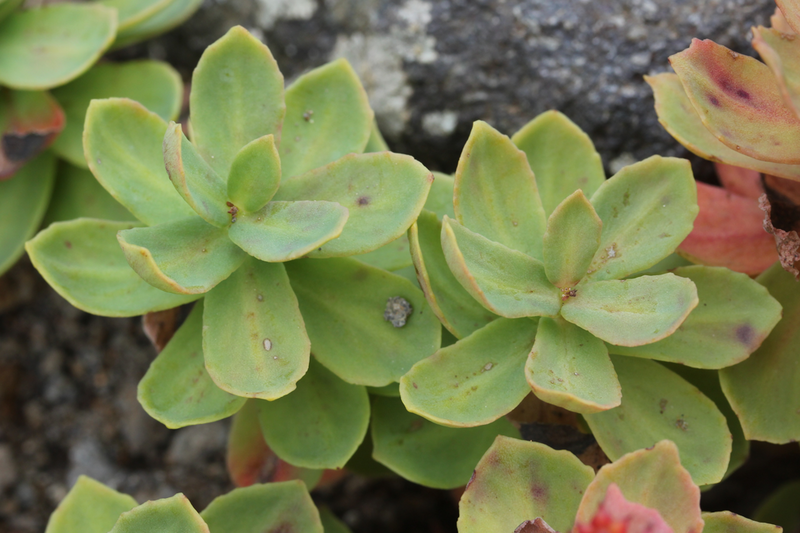 Sedum rosea subsp. arcticum (Boriss.) Kozhevn. Sedum rosea var. microphyllum Fröd. Sedum rosea var. tachiroi Franch. & Sav. Sedum rosea var. vulgare (Regel & Tiling) Maxim.